We stock condenser, evaporator and divider plate gasket material. We can custom cut gaskets for you in red rubber, buna N, neoprene, garlock 100 to 3300, cork impregnated neoprene or gortex. We stock or cut most 150 lb. To 300 lb. pipe flange sizes. We normally stock victaulic gaskets in various sizes. 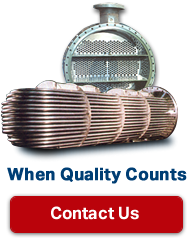 If there is an application that you need a gasket, request a quote, or please give us a call at 800-356-1932.